Sweet corn is a summertime favorite at the dinner table, as well as at bar-b-ques and cook outs. If you have your own vegetable garden and want to try your hand at planting sweet corn, it is easy to do. Sweet corn likes warm soil, so you must choose a spot that gets full sun, and you must wait until at least 10 days past the last expected frost before planting it. Loosen up the soil where your sweet corn will be planted, making the rows at least 6 inches deep with loose soil. If you plant more than one row, space them 2 feet apart. Insert the sweet corn seed kernel into the soil. If your dirt is dry and sandy, insert the corn kernel 2 inches into the soil; if your dirt is heavy and clay-like, insert it 1 inch into the soil. Make sure the seed is completely covered after being inserted. Plant seeds in the row 10 inches apart. Keep the soil moist but not wet. 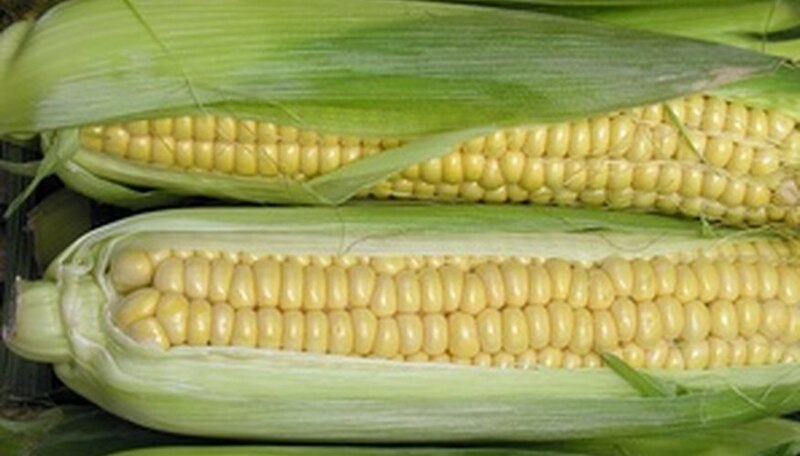 Sweet corn needs approximately 1 to 2 inches of water per week. Work the soil with a hoe or spade, and pile it into a hill that is 10 inches high. If you are planting more than one hill, they should be spaced 3 feet apart. Insert the sweet corn seeds into the top of the hill, 2 inches deep and 3 inches apart. You should be able to plant 5 to 6 seeds in your hill. Make sure the seeds are completely covered, and sprinkle the hill with water until the soil is moist. Thin the seedlings to the three strongest as soon as they are 3 inches tall. Purdue University Co-operative Extension recommends planting several shorter rows of sweet corn as opposed to one long row, as this will provide a natural wind barrier for the corn. It also aids in the pollination of the corn. If the sweet corn seeds are not properly covered when planted, they will be quickly stolen by squirrels or rodents. How Deep Should Corn Seeds Be Planted?